Lebanon’s next commander of the army? This is the 12th post in a series of monthly posts covering the presidential elections. This post is about the month of May 2015. It has been a busy month in Lebanese politics. Last time I wrote something, Lebanese politicians were still arguing about Yemen. In May however, it was the name of the next commander of the army that kept everyone busy. In the very first days, the remnants of the Mustaqbal-Hezbollah April political clash were still there: Hezbollah’s bloc accused the Future Movement of violating Taef. At the same time, the FPM and the LF were finishing up their declaration of intent, and were agreeing to boycott the legislative session until some of their demands were met, like prioritizing the election of the president, and working on the electoral law (Here’s a reminder of the irony here, since the FPM are the ones who are boycotting the presidential elections). But as things were finally calming down on the Muslim front between Hezbollah and the FM, signs of a major battle between Hezbollah and Syrian militants near the northeastern border were looming. And to make things even more complicated, the debate on the security appointments started: The ISF chief retires on the 5th of June, and the army commander on the 23rd of September. In case you wondered, that’s what the post will be mainly about – since I believe we’ve all had enough of the routine weekly fights between M8 and M14. As I said in November, the presidential elections are not about the president. In fact, no one cares about the president. Not even Lebanon cares. The proof? we have been without a president for more than a year. And for more than a year, the country has perfectly adapted to a life with no head of state. The cabinet meets regularly, the parliament doesn’t meet regularly and life goes on. So basically, nothing changed. The presidential elections are more about a deal than about a glorified chair. The presidential elections are about the electoral law, the security appointments, the formation of the next cabinet, the position vis-à-vis the Syrian war, and many more details. And to be more precise here, the president is not even part of the presidential elections deal. In fact, he’s the guy who is supposed to oversee its enforcement. And for 12 months, there has been no sight of any attempt of a deal. However, the terms of the security officials are due to end soon, and this could be an occasion for our politicians to start drafting a package they could agree on. This could also be the moment where we become without a president, a commander of the army, elections, and plunge into chaos, emptiness and darkness. Anyway, there’s an opportunity to move forward here, and of course, the maneuvering has already begun. One of the most important parts of the deal is the name of the next commander of the army. Lebanon is overwhelmed by refugees, the Islamic State is at our gates and the Syrian spillover is not likely to stop anytime soon. That makes the commander of the army a key player in the next couple of years. The country’s stability is depending on the army, now more than ever. For Michel Aoun, March 8’s presidential candidate, the name of the next of the next General in charge of the LAF matters even more: His son-in-law, Shamel Roukoz, currently heads the army’s special forces (The Maghawir) and could fit well as a commander of the army. Michel Aoun is likely to retire really soon (Here’s a reminder that Aoun is currently 80 years old), and unless them FPM has someone with influence in a top post, the future of the party will be in Jeopardy when the transition comes. The FPM needs someone to follow like Aoun, and Roukoz seems the man to fulfill the legacy. Once Roukoz becomes commander, he will likely be the FPM’s potential candidate for the presidency – while maintaining a consensual image. That would mean that if the FPM plays its cards well in the next general elections and Roukoz succeeds as commander, the FPM could be looking in 2021 at a party whose Roukoz is leading its men in the executive power as president, and whose Bassil is leading its MPs in parliament, while Aoun would remain the “Godfather of the party”. Last week, Michel Aoun was asking for the election of the president via direct elections (That wasn’t the first time he proposed the idea) while at the same time promising that he will not allow that the same officers (in other words, Kahwagi) stay in charge. This aggressive maneuvering is not because Aoun wants to weaken his main presidential rival, but rather because he knows – like probably everyone else in the FPM – that the future of the FPM depends on Roukoz’s appointment as commander. Once he becomes commander of the army and gets the right political backing, he would be in a position to be as influent as his father-in-law and ultimately succeed him as the party’s leader and idol. Let’s face it, he’s far, far more popular than Bassil. The FM and the PSP realize how badly their Christian rivals want the post, and are playing it smart. Instead of vetoing the appointment, they’re outmaneuvering Aoun by accepting the nomination (Here’s a link of Hariri saying yes to Roukoz, and another link of Jumblatt saying yes to Roukoz), before probably requiring some concessions from the FPM: (1) Someone not named Michel Aoun as president, (2) a gentler electoral law towards the FM and PSP’s interests, and (3) Hezbollah agreeing to some of their terms. But that’s not all of it. 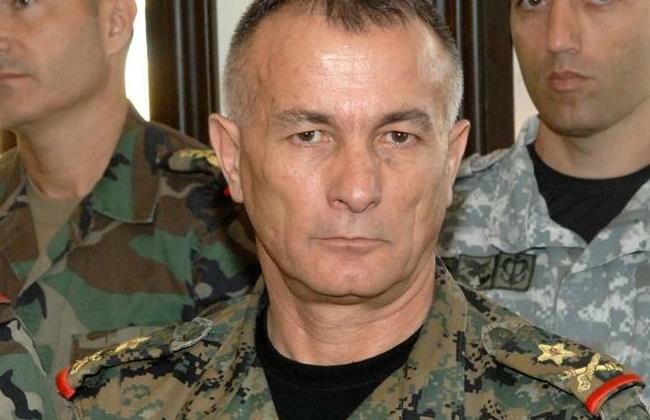 Giving Roukoz the green light comes at a price: The FM insist on naming Roukoz commander after the presidential elections, making it a difficult task for Aoun to accept that deal: What if the next president doesn’t want Roukoz to lead the army? (after all, the president is according to the Constitution the “Commander-in-Chief of the Armed Forces” and should have a say in the nomination of the commander). What if things don’t work out, and the FPM ends up losing both the presidency and the army? It’s a risky prospect for Aoun. Yet the main problem for the FPM isn’t about naming the new commander before or after the presidential elections. It’s about the context of the nomination. There is something big about to start in Arsal, we just don’t know when it will happen. March 14 are calling for the army to exclusively take charge of things in the northeastern regions , and it’s not only because they want Hezbollah out of the equation. In case you have noticed, the army – although having clashed with the militants there last August – is slowly dissociating itself from the upcoming battle and the outgoing skirmishes and tensions. And that’s for three main reasons: (1) It would probably lead to the death of all the military hostages, only making things worse for the army and its command, (2) it would put the Lebanese army at the heart of the Syrian conflict, and most importantly, (3) it would be the political deathbed of any commander of the army aspiring to become president. One should read the FM’s statements in depth: They accept Roukoz as a commander of the army, while at the same time asking for the army to exclusively be in charge of defending Arsal’s jroud. For the FPM, that means two things: That Kahwagi, who will no longer be commander of the army, will slowly lose momentum as a presidential candidate *Michel Aoun smiles*, while at the the same time Shamel Roukoz will have to (1) clash with the militants in Arsal – bringing him in direct confrontation with the Sunnis – and (2) contain Hezbollah a couple of Kilometers next to one of their core centers of influence (Baalbak). Not to mention how much the population will be angry when 30 hostages from all over the republic get slaughtered by the militants once the army tries to take control of the situation near Arsal. For the FPM, appointing Roukoz as commander seems like one of the two steps needed to secure the presidential elections of 2021 (since the commander of the army is usually the candidat-favori). For the FM however, appointing Roukoz seems like the easiest way to try to sow discontent between the FPM and Hezbollah, and between a possibly consensual candidate and the Sunni electorate. 374 days since the 25th of May. 210 days since the 5th of November.